A new cinematic from Goodbye Kansas and Deep Forest Films showcases Unreal Engine's 4.22 raytracing capabilities. A new cinematic from creators Goodbye Kansas and Deep Forest Films showcases the power and groundbreaking capabilities available in Unreal Engine. 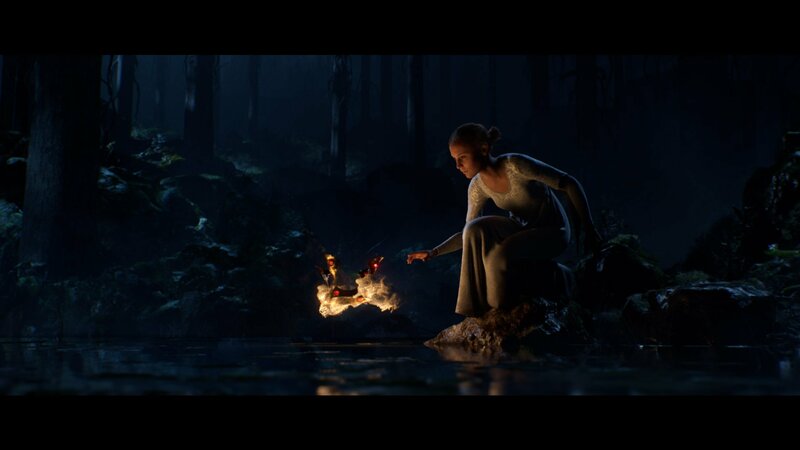 While talking about the game engine in today’s “State of Unreal” GDC session, the short cinematic was debuted. In it, users can see the raw power that is available when using the Unreal Engine to create games. The visual style within the cinematic is based off of Swedish painter and illustrator John Bauer’s work, and it follows a princess as she journeys through a misty forest laden with fairies. All 3D and 4D facial scanning within the cinematic were created and developed by Epic Games’ 3Lateral. It’s an extremely rich experience altogether that really shows off what is possible with the engine in a bid to entice developers into using Unreal Engine to create their games. You can check out the cinematic above to see what Goodbye Kansas and Deep Forest Films have brought to life for yourself. Videos like this aren’t a new thing, as game engine developers have often had cinematics like this made to showcase their engine’s development potential, and the amount of power contained within Unreal Engine is extremely evident in Troll. What's even more amazing about this, is that the entire demo runs off of a single RTX 2080Ti, which should give you an idea of how optimized everything is. For more of the latest information from GDC 2019, make sure you check out our news hub. You can also follow Shacknews on Twitter to keep up with our latest stories and content, to ensure you never miss a thing. Is this Unreal's implementation of raytracing in-engine a la Crytek, or the nvidia RTX implementation?